Four decades ago, like so many other young feminists then, I was gripped by BBC1's suffrage drama series Shoulder to Shoulder (spring 1974). I sat in my London flat, mesmerized - watching horrified the hunger-strikes by suffragettes like Sylvia Pankhurst. By coincidence, that autumn I moved north to the Manchester area. House prices were more affordable in nearby Oldham, and I moved to a house next door to a mill. Visiting Oldham Local Studies Library, I soon discovered that this was the very mill where suffragette Annie Kenney had worked ~ before being talent-spotted by the Pankhursts and whirled away into their Women's Social and Political Union (WSPU) campaign. By 1975, I was writing my first article - 'Who was Annie Kenney?' - for the new feminist magazine Spare Rib. My destination as a suffrage historian now seemed set. I was soon wondering: who else besides the Pankhursts campaigned in the Manchester area and the surrounding Lancashire cotton towns? I was hooked! It was the early days of the Women's Liberation Movement, a time of exciting new possibilities and new ways of writing and publishing. Radical Suffragists. So it was only much later that I could piece together sufficient evidence to write Rebel Girls: their fight for the vote (Virago 2006). It tracks the story of campaigners who took their suffrage message out across the three Yorkshire Ridings ~ to the remotest dales and fishing harbours. 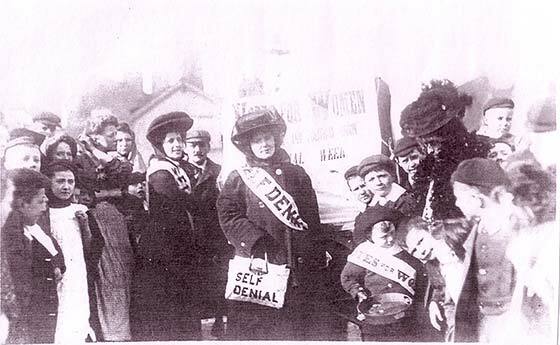 Rebel Girls told of both suffragists like Isabella Ford, and suffragettes like Mary Gawthorpe. 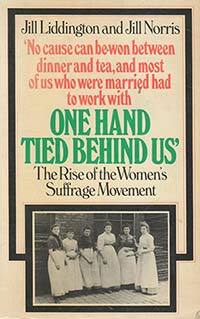 Then in 2009, new census schedules were released ~ making available evidence of the 1911 suffragette census boycott. 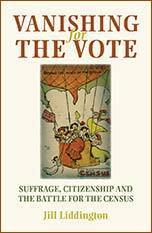 Vanishing for the Vote: Suffrage, Citizenship and the Battle for the Census (MUP 2014) followed. Podcast of census conversation in House of Commons 2014. In the early Women's Movement, Sheila Rowbotham was the feminist historian who originally inspired me (Hidden from History, 1973). 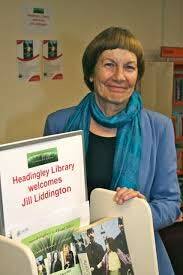 Once in Oldham, like Sheila I funded time for research by teaching day release students at the local college. I also began devising Women's Studies and Women's History courses, teaching them through the WEA and Manchester University extra-mural department. Teaching fed into writing and vice versa, a creative way of making a living, albeit highly insecure. So, after I moved across to West Yorkshire, I was delighted to be appointed in 1982 to Leeds University's Extra-Mural Department. It had an illustrious history, the platform from which Edward Thompson wrote his classic The Making of the English Working Class (1963). Extra-mural adult education, teaching off-campus in centres across West Yorkshire, suited me just fine. I started off organizing community education classes, then shifted to teaching New Opportunities for Women and Access courses; then Local and Regional History plus Votes for Women modules, all designed for adults studying for part-time degrees. Adult education never stayed still, as the various departmental name changes testify. I stayed on, in what became the School of Continuing Education - where I was appointed Reader in Gender History. Then, after Leeds University closed us down in 2005 (yes, it felt like a tragedy), I moved to the Centre for Interdisciplinary Gender Studies [CIGS], which provided a welcoming home - and where I remain an Honorary Research Fellow. So what else do I do? I'm delighted to be a member of the Society of Authors. It helped me reach a new readership - through author events in public libraries organized by wonderful reader development librarians (at least until library budgets were cut by unkindly governments). Since moving north in 1974, I've always lived on Pennine hillsides - first near Oldham, in Rossendale north of Manchester, then moving across to Halifax and now living near Mytholmroyd - with my partner and cat. Here, at 900 feet, I contend with the wuthering winds. My writing has been substantially shaped by this landscape: not only the history but also the politics that spring from it. In 2012 I was spoke in Bradford City Hall to launch the Hannah Mitchell Foundation (named after the Manchester suffragette), championing devolution and 'Taking Back Control in the North'. And I'm delighted to contribute to the Hannah Directory, which celebrates the great stuff people are doing in the north, and asking how even more of it can happen? I've always loved walking in the Pennine hillsides. In 2007 I helped found Mytholmroyd Walkers' Action to promote 'more walkers walking more' ~ through local waymarked walks, display boards and leaflets. However, in 2011 I got hypothyroidism, which restricts uphill walking. I needed to rethink my walking plans. Busily networking, I found the British Thyroid Foundation [BTF] which provided a lifeline. 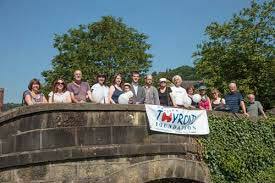 And so, to raise money for BTF, I did a sponsored walk ~ along a magical network of canal towpaths, from Hebden Bridge down through Middle England to London. Over 220 miles, it took 23 days. And, with my wonderful fellow walkers ('I never walked alone! '), we raised £3,400 for BTF. As 2018 approached, I was frequently asked 'Are you writing a new book?' Hypothyroidism rather put pay to that. However, currently I'm enjoying working collaboratively to present Votes for Women in new ways - with people whose digital skills I can only marvel at: working with Chris at Pennine Pens who's produced my first eBook; Fabrice who's connected me to a French readership; and with Jon and Paul, editing podcasts of suffrage talks I've given. What do Women Do in Archives? A couple of years ago, all this would have been unthinkable. Almost as unthinkable would a BBC drama series, scripted by Sally Wainwright, on Anne Lister - with global reach. What did Anne Lister do - in 1832? Awards: 1990, The Long Road to Greenham (Virago 1989) won the Fawcett Book Prize. 2008, Rebel Girls: their fight for the Vote (Virago 2006) was shortlisted for the Portico Book Prize. 2014, Female Fortune: the Anne Lister Diaries 1833-36 (Rivers Oram Press 1998) was chosen by TV scriptwriter Sally Wainwright on Desert Island Discs as the book she wanted to take with her. Anne Lister.